All of us know the huge problems that the world now faces from global warming. It might seem quite strange to most of us that in the 21st century we are still driving cars that run by burning oil, but until this changes, there is still a lot we can do to help give mother nature a little hand. The main source of pollution from cars is carbon dioxide or CO2. This gas is what has come to be known as a ‘greenhouse gas’, and is responsible for absorbing heat from the sun and trapping it in our atmosphere. Unfortunately, CO2 is not the most damaging gas for humans and the environment. Cars also produce carbon monoxide (CO), which is far more dangerous for humans and can, in large enough doses, actually kill. In order to try to reduce the amount of carbon monoxide leaving the tailpipe, cars come with components known as catalytic converters that help to convert this carbon monoxide into CO2. These converters are designed to last a long time but even so, still become less efficient the more we use our cars. 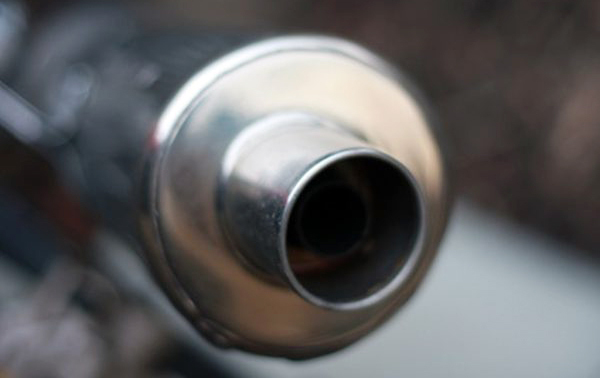 Since high levels of carbon monoxide emissions from your tailpipe can cause your car to fail its emissions test, doing your best to look after it and making sure it remains as clean as possible can really pay off in the long run. A good quality catalytic converter cleaner will not only help you to keep your car’s emissions down but will also make it much easier to actually clean the converter too. How does a catalytic converter cleaner work? A catalyst is a substance that causes a reaction between one or more substances when it comes into contact with them. In the case of cars, these catalysts are used to convert some of the emissions that are given off when the internal combustion engine burns fuel. These catalysts cause carbon monoxide to combine with oxygen to form carbon dioxide, and nitrogen oxide to convert into nitrogen. In layman’s terms, these catalysts convert very harmful gasses into ones that do less damage. Though carbon dioxide is a huge problem in the global quantities that we are releasing it into the atmosphere, harmful gases such as CO and nitrogen oxide are far more of a short term concern to humans. These converters fit onto your exhaust system, usually at the end near the muffler, and cause chemical reactions that convert a large percentage of these harmful gasses into less damaging ones. As with anything, over time these converters begin to work less efficiently and cause more and more harmful gases to be released from the tailpipe. Once they have degraded to a certain level, your car will no longer be able to pass the emissions test and will therefore need to have the converter replaced. Why do you need to clean your catalytic converter properly? The good news is that you can increase the lifespan of these expensive converters by cleaning them properly. During regular use, these converters become increasingly clogged by carbon that is being emitted from the engine. Anyone who has ever handled a used exhaust system will know just how much carbon gets stuck to the inside of the exhaust unit. Carbon buildup is the reason that our engine oil also becomes black and has to be changed. When carbon sticks to the catalyst, it prevents it from being able to come into contact with as much CO and NO as it would otherwise. This decreases the amount of these harmful gasses that it is able to convert into other gasses. In order to clean your catalytic converter properly, you will need to buy a good quality cleaner that will be able to remove all this carbon and dirt from inside it. Most people naturally assume that cleaning this part of the car is going to be a really messy job. 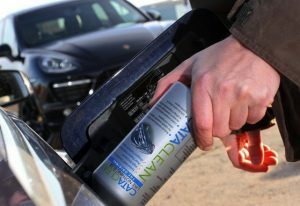 The good news is that it only requires you to add the cleaner to your gas tank and for you to use your car normally until the tank is nearly empty. The cleaner is a chemical agent that when it comes into contact with the carbon in the converter, will strip it away, leaving the catalyst’s surface clean to do its job. Cleaning your converter is nice and simple. Follow these easy steps and your converter will be clean in no time. Drive your car until the tank is almost empty and job done! It really is that simple. How often should I use a catalytic converter cleaner? The answer to this question really depends on how much and how you use your car, as well as the type of car you have. Carbon buildup is a natural process and can’t be prevented. A larger car burns more gas and so produces more carbon. To compensate, larger cars have bigger catalytic converters, but these take a lot more cleaner to remove all the carbon. If you are someone who only uses your car as a general run around, going a short distance back and forth to shops and home, for example, then you should be fine to only clean it 2 times a year. For more heavy use vehicles, it is generally recommended that you use a cleaner 3 to 4 times a year to prevent excessive carbon buildup. There are several things you can actually do to help to prevent your car from creating excessive carbon buildup. To start with, your car’s engine has an optimum rev limit that will give you the best MPG fuel economy. Try to dive within this range and avoid high revs that produce more carbon and therefore lead to more buildup in the exhaust system. Another tip is to always make sure that your tire pressures are at the correct level, as underinflated tires will cause your engine to have to burn more fuel to compensate, thereby producing more carbon. Maintaining your engine properly, including getting it tuned is a great way of reducing carbon buildup. When a car is not properly tuned it can ‘run rich’ on fuel, something that not only causes more carbon but reduces fuel economy also. A good mechanic will quickly be able to tell if your car is running rich from the sound and behavior of the engine. Typically, cars that run rich will idle poorly, while being more difficult to start in certain temperatures. If you suspect your car is badly tuned, get it to the auto shop to have it seen by a professional. 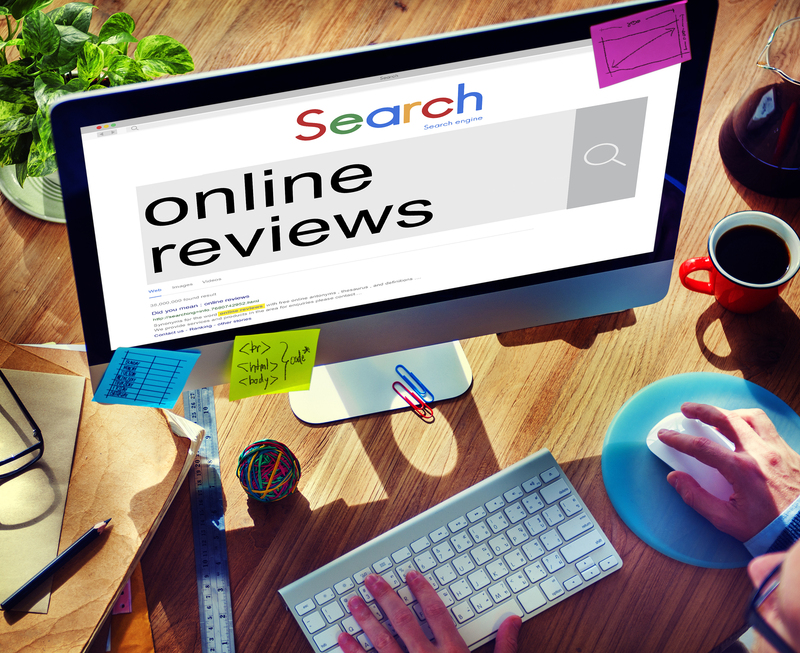 Well, if customer satisfaction is anything to go by, this cleaner is king! 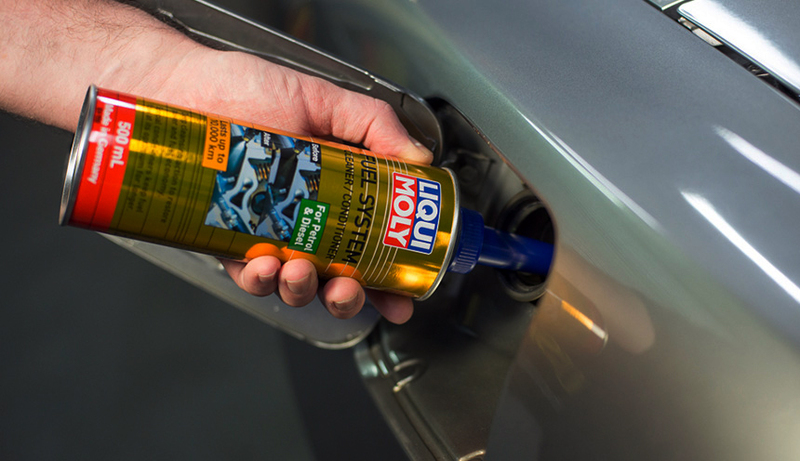 Available in a range of different quantities, this much-loved cleaner really does a great job at cleaning out all that nasty carbon from your car’s catalytic converter. It is made from purely petroleum derived chemicals, meaning that it doesn’t contain any nasty substances that could damage your engine. 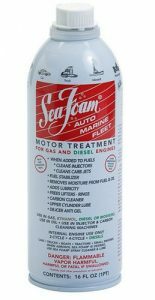 The added bonus to this cleaner is that it cleans out any water droplets that it comes into contact with, thereby helping to prevent rust in either your gas tank or fuel lines. When it comes down to it, the only thing people really want to know is, does this really work? Our answer is a resounding, yes! Though you might not be in the position to test it, once you have washed this cleaner fully through your engine, if you were to test the emissions, you will certainly find that they have improved a vast amount thanks to the converter being clean. This is a great product that really does exactly what it says on the tin. CRC 05063 Pass Emissions Test Formula – 12 Fl Oz. This cleaner works reasonably well at removing most of the carbon in your converter. It doesn’t seem able to remove the harder carbon, however, so should you not have maintained your converter well, this might not clean well enough to get it completely clean. Aside from this, it is a really good all round cleaner. It cleans all parts of the engine, from the fuel injectors to the oil, stripping away all that unwanted carbon and giving overall engine performance a big boost. This helps boost fuel economy while also lowering emissions. The manufacturers advise you to use this product every 3,000 miles in order to improve and maintain a good level of engine and emission performance. This is definitely not the cheapest cleaner on the market, but nonetheless, it really does quite a respectable job. 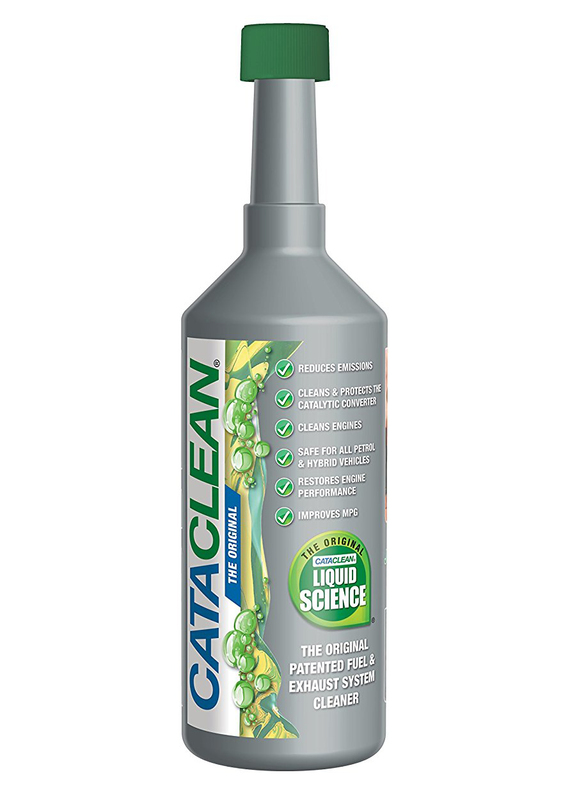 Cataclean claims that it can reduce your car’s total hydrocarbon emissions by up to 50 percent, though we found around 15% to 25% to be a much more realistic estimate. It works well at cleaning out the engine and all the various components to give overall engine performance a real boost. The main area of contention is how much it actually manages to clean up the catalytic converter. Overall, it seems like it does an above average job on most converters, but again, it doesn’t do such a great job at reducing harder carbon. This formula can be used on all types of engines and will certainly reduce your emissions, if only for the short term. 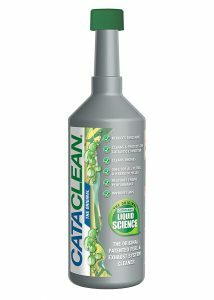 This high-performance cleaner is designed specifically to remove carbon from both the engine and the exhaust system. It is pretty pricey, which might be off-putting to those people who plan to use their cleaner quite regularly. The manufacturer recommends using this every 3 to 4 months, so this is something to factor into your budget before you buy. As far as cleaning all that nasty carbon, this formula does really work well. It is even able to remove some of that harder carbon that most other cleaners cannot. On the downside, this formula doesn’t offer the same level of clean for the engine that many of the others do. 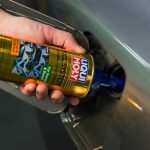 So if you want to give your engine a thorough cleaning, you might wish to use this with a different cleaner to ensure your engine remains at its very best. If you are having a problem with excess sulfur in your emissions, then this is the best cleaner for you. Though it won’t help to remove much in the way of carbon buildup from your converter, it will help your engine burn fuel better to help reduce your carbon and sulfur emissions. It also cleans the engine’s internals, and in doing so, further helps the engine to run more efficiently. This formula is also the perfect solution for people who are struggling to get their car to pass the emissions test. You only need to add it and take your car for a run before it does the test and the CO and NO emissions are reduced significantly. Keep in mind that this cleaner is not a miracle worker and is never a substitute for a well-tuned engine or a new catalytic converter. This great formula will really add extra miles to your fuel economy. 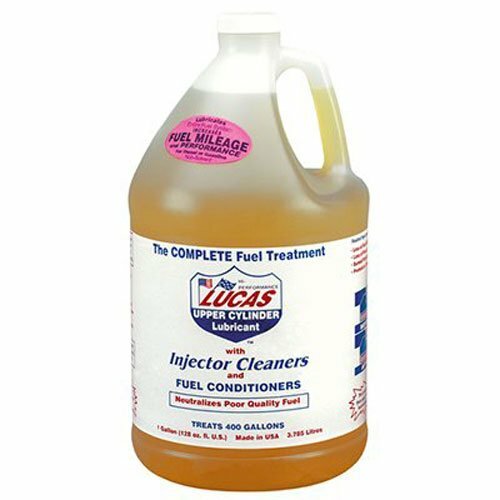 Another flush through liquid that you only need to add to your gas tank, it is compatible with both gasoline and diesel engines, no matter what the size. It is fully compatible with all catalytic converters, so it won’t cause any damage. It is also designed to clean up engine components such as the fuel injectors and carburetors, as well as the oil system. This gives the formula the long term bonus of reducing engine wear and therefore allowing your engine to maintain a much better fuel economy as it gets older. To be totally honest, finding that miracle cleaner that does everything you want it to in one easy go just isn’t possible. Your best bet would be to use a few different cleaners in conjunction with each other in order for you to stand the best chance of keeping your car working at its peak. It is definitely advisable to use a cleaner regularly, as this will help to prevent hard carbon buildup in your converter, which to be honest is a pain in the neck to get rid of. Follow our tips on how to prevent excessive carbon in your emissions, and by regularly using one or more of the cleaners in this list, you stand the best chance of keeping your emissions lower while best prolonging the life of your costly catalytic converter.